President Trump addressed the possibility of retaliation in Syria in response to a suspected chemical attack on young children and families in the Syrian city of Douma over the weekend. 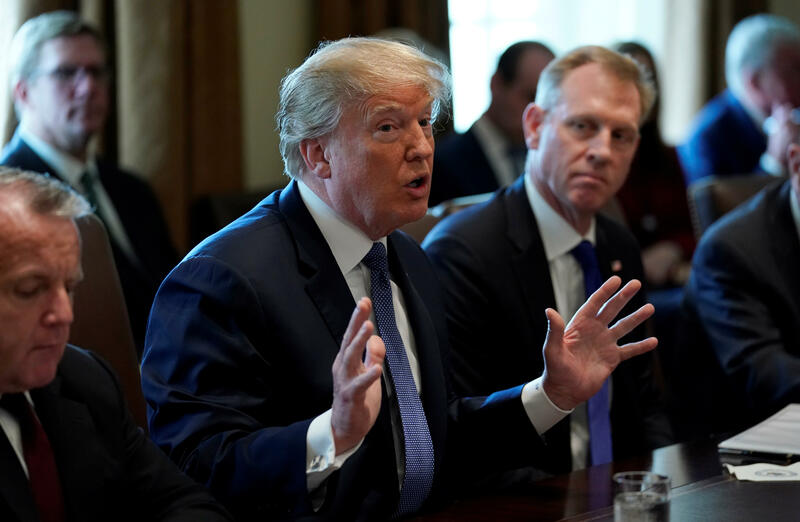 He advised reporters during a Cabinet meeting on Monday that the administration would be making a "major" decision on Syria within the next 24 to 48 hours. "This is about humanity, we're talking about humanity, and it can't be allowed to happen," he said. "We'll be making that decision very quickly, probably by the end of today. We cannot allow atrocities like that." Mr. Trump said that the administration is "studying" the situation in Syria closely and is talking to military leaders about an appropriate response. "If it's the Russians, if it's Syria, if it's Iran, if it's all of them together, we'll figure it out." His comments on Monday come after he blamed Syria's "Animal Assad" and his international allies, including Russian President Vladmir Putin, for the apparent attack that left dozens dead and hundreds injured. He condemned the attack in Syria as "atrocious" and "horrible." "You don't see things like that, as bad as the news is around that world, you just don't see those images," he said. It's still unclear how exactly the administration will respond to the attack. In response to a sarin chemical attack in April of last year, Mr. Trump ordered a missile strike on a Syrian military target in Shayrat, about 50 miles due south of the village that was hit in a gas attack. Earlier on Monday, Defense Secretary James Mattis says he is not going to "rule out anything" as a response against Syrian President Bashar Assad. Mr. Trump echoed the secretary's response to taking military action, saying "nothing's off the table." Meanwhile, on upcoming talks between the U.S. and North Korea, Mr. Trump said the meeting with dictator Kim Jong Un would be taking place sometime in May or early June. He said the meeting will be "very exciting for the world." "I think there will be great respect paid by both parties and hopefully we'll be able to make a deal on the de-nuking on North Korea," said Mr. Trump. He also again blamed his predecessors for not handling the situation in North Korea earlier, saying it "would have been a lot easier than now." On Sunday, the U.S. confirmed for the first time that Kim is willing to discuss the denuclearization of the Korean peninsula. South Korea had conveyed a message from Kim indicating his willingness to pause his nuclear program during talks, but the U.S. had not previously confirmed Kim's intentions directly from North Korea.